It would be no surprise to most educators that research identifies family involvement in schooling as a key predictor of a student’s success. Clear, continuing, two-way communication is imperative. But what is the best way for teachers to approach home-school communication in our rapidly changing world? Family life is evolving with many parents working full time and juggling various commitments. Teachers may see parents at the classroom door less than they used to, and opportunities for interaction are more limited. With these changes also comes exciting new opportunities. The good news is, in our technology-rich world our approach to parent communication can be stronger than ever! 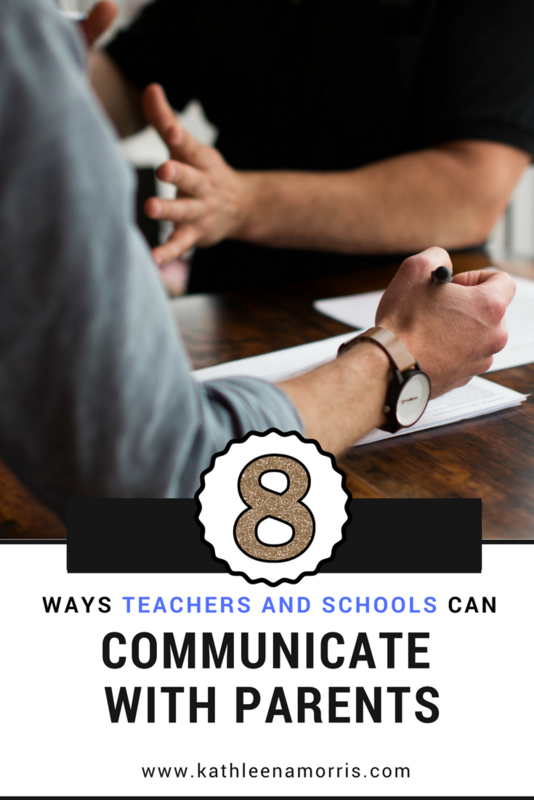 Let’s take a look at some effective options for parent-communication and see what’s happening in some schools and classrooms around the world. There might be some fresh ideas you could try in 2019! Or, you might have other creative ideas or examples which I’d love you to share in a comment. 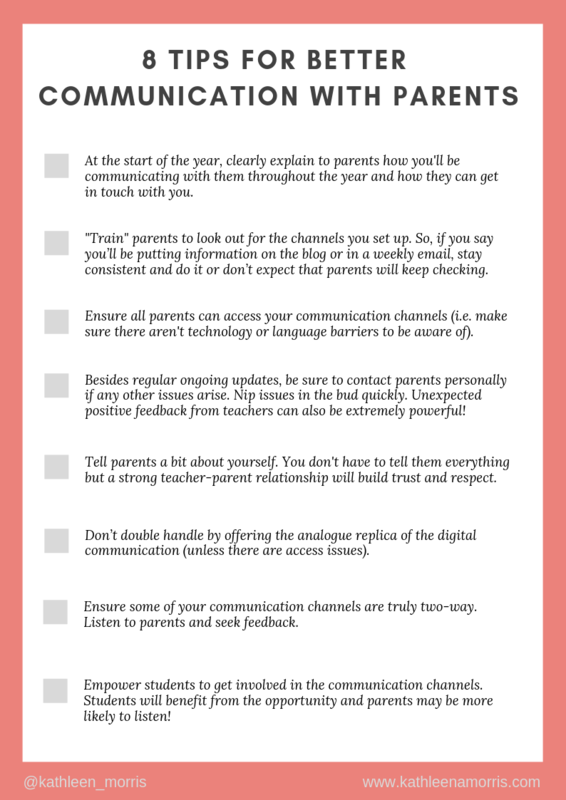 💡 Scroll to the end to find a checklist with 8 tips for better communication with parents! Regular readers will know I’m a huge fan of blogs for many reasons. When it comes to communicating with parents, you might opt for a class blog, school blog, or both. Let’s take a look at these. One of the main reasons I started a class blog over a decade ago was to connect with families. Year after year, parents mentioned that they loved being about to peek into our classroom through the blog. Many parents found our blog to be a useful conversation starter at home too. They could ask their child questions based on what they’d seen on the blog when their child had strangely ‘forgotten’ everything that had happened at school! The interaction through a class blog doesn’t have to be one-way either. I’ve written a guide to involving parents in blogs where I recommend you educate and encourage families to get involved in the blog in a way that’s clear, easily accessible, dynamic, and ongoing. This might mean teaching parents about commenting (comments bring your blog alive and can scaffold learning so you really want comments!). It might also mean inviting parents to participate in things like a Family Blogging Afternoon, Family Blogging Month, question posts for parents, and more. A class blog is an excellent way to keep parents informed about what’s happening in the classroom while showcasing and scaffolding student work. All this can be underpinned by a rich dialogue about learning in the comment section. Mrs. Yollis’ 3rd Grade Class in California, USA. The way parents are invited to get involved in commenting is inspiring! Linda came up with the idea of Family Blogging Month which has been replicated in many classrooms around the world. Room Three @ Auroa Primary School in New Zealand. Myles Webb does an amazing job of using multimedia and other tools to share what’s happening at school. What parent wouldn’t want to keep up to date with this class blog? Team Two Eagles in Canada. Becky Versteeg seamlessly weaves calendars and announcements with recounts and showcases of student work. This blog is really well maintained which makes it particularly useful to families. A school blog and a class blog can really complement each other to create a whole school culture that values strong lines of communication. Most schools now have a school website that is often fairly static in nature. It might have information about school policies, staff, contact details and so on. 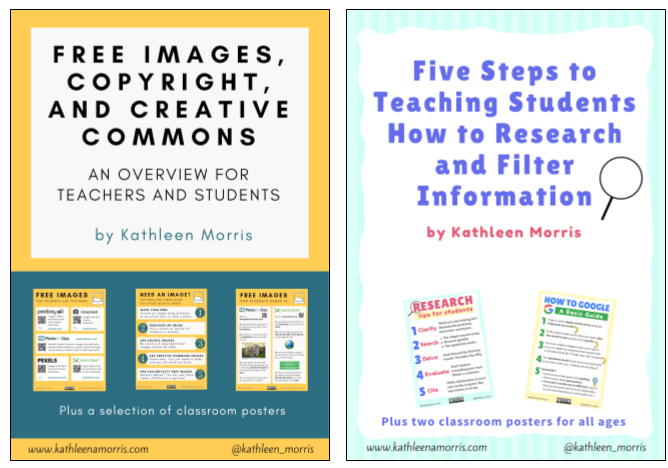 Schools are not static spaces, however, and our online environments can reflect that too … with a blog! Paul Luke in South Australia set up this fabulous example of a school hub that is updated regularly. We are always looking to improve the way we communicate with families and friends. At Craigburn Connections, you’ll hear directly from school staff, students and our parent community on topics including classroom activities, school programs and events, thought leadership in the field of education, and sharing in the wonderful learning from our students. Paul also offers an open invitation for others to comment on the blog, and explains how the blog replaces the traditional fortnightly school newsletter with more instantaneous and accessible updates. This blog was set up for a Catholic Primary school in Melbourne, Australia, by Frank Cotela. It is unique in that it is run by an elected Student Action Team. The blog is updated regularly with interesting stories from around the school community. This is an incredible program that provides huge benefits to students while offering an excellent platform for parent communication. A simple yet powerful medium, radio or podcasting is a great way to speak directly to parents at a time and place that’s convenient to them. A student-led production offers children the chance to use many traditional and new literacy skills. This includes everything from the standard reading, writing, speaking and listening, to 21st century skills like using digital tools, researching and filtering information, and digital citizenship. The production of a radio show also requires many ‘soft skills’ such as project management, collaboration, and problem solving. Westwood Radio – This is an extremely professional example from Ian Rockey in the UK. Their school received a grant which allowed them to collaborate with a radio consultant. Chickering Report – These 4th and 5th grade students report on what’s happening at their US school, sometimes through blog posts, other times through podcasts like this one where students interviewed their PE teacher. Berwick Lodge – This primary school in Melbourne, Australia has been collaborating with a local community radio station for 15 years to create their own radio show. This is an amazing production! A school radio or podcast can be a fairly professional project that involves collaborating with a radio station or broadcasting experts. At the other end of the spectrum, it can be as simple as publishing an audio recording in a blog post. Want to learn more about podcasting? Check out this comprehensive guide I wrote for The Edublogger in April, 2018. It walks you through different options such as Anchor.fm — a really handy free app for creating podcasts. Video has always had such rich potential to engage, inspire, and educate. It’s now easier than ever to create video. This is something some schools are taking advantage of to communicate with parents while helping their students develop traditional literacies, 21st century literacies, and many ‘soft skills’. Your video library can be hosted on a site like Vimeo or YouTube. From there you can embed videos on your class/school blog or website. This television show is incredibly catchy and gives families a real insight into what’s happening around the school yard. Rob Kelly does some truly incredible work with the students at Berwick Lodge Primary School. LODGERS – Series 2 – Episode 7 – THE FILM FESTIVAL SPECIAL from Berwick Lodge Primary School on Vimeo. Parkhill Primary School is lucky enough to have a ‘fully operational’ digital television news broadcasting studio at their school. This is such a great opportunity for students and the school community. Check out their Vimeo channel to see some examples of their videos. These two examples would clearly take a lot of work, but parents would certainly appreciate a much simpler student-created school report too. You can always start small! Consider: If you put on a school production, parents come along because they want to see their child. 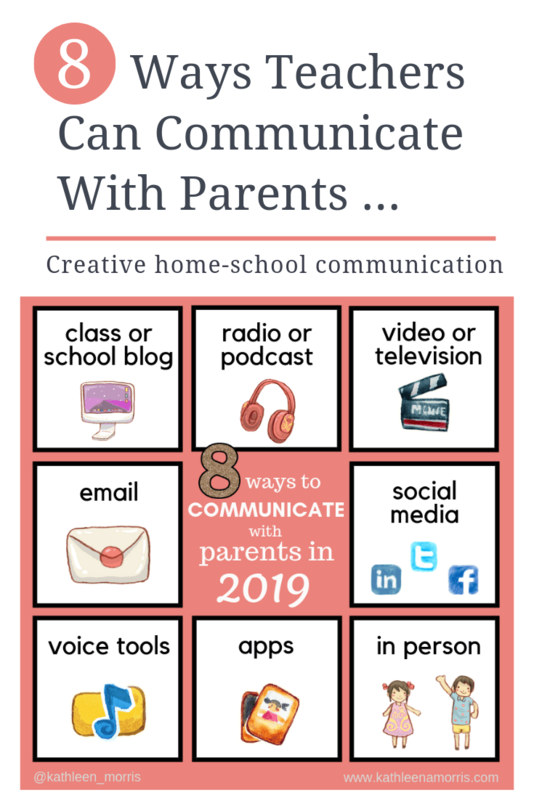 This shows how powerful it could be to put students in the driving seat of some home-school communication. Maybe it’s an effective way to get parents on board and taking notice? I began teaching in 2004 when office staff would spend hours every two weeks typing and photocopying a school newsletter. We’d then hand this out to the eldest student in each family and hope it made its way home! I wrote a post back in 2010 about the switch I made from paper newsletters and notes to email. Nine years have passed and this approach still isn’t in every classroom but it could be. Alice Keeler has written some excellent advice about emailing parents. This advice includes putting all parents in the BCC field (a must for privacy), reducing attachments, and using Google Forms. If you’re looking for some more advanced ideas, Alice also has a Google Add-On and tutorial to easily send personalised emails to parents when you have a lot of students. Matt Miller has written a tutorial on how to make a customised email newsletter for every child with Google Forms. Email Service Provider For Your Classroom? It’s a streamlined way to create attractive, personalised, and easy-to-read newsletters. Managing your subscriber lists is easy. Plus the data would be so handy as you really want to know if your email is landing in your parents’ inboxes and if they’re opening them. Social media is an excellent avenue to explore when considering how you can ‘meet parents where they’re at’. There is a lot of merit in using a platform that parents are already familiar with and are using regularly, rather than trying to come up with a new method that requires ongoing education and promotion. Online platforms like Facebook, Twitter, or Instagram can be a great way to bridge the gap between home and school. 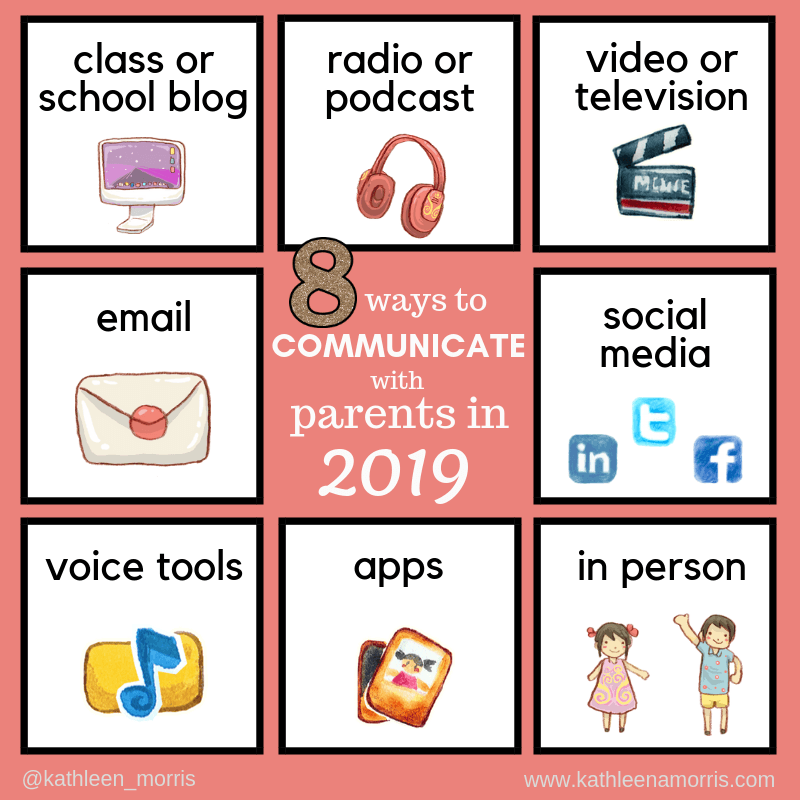 Many teachers use social media well to connect with families. Of course, you’ll need to be mindful of your school, district, or state policies when beginning to communicate in this way. Another consideration is that most social media platforms have a 13+ age restriction. This means that unlike other publishing platforms (such as your blog), the teacher will need to be the one doing all the publishing for younger students. 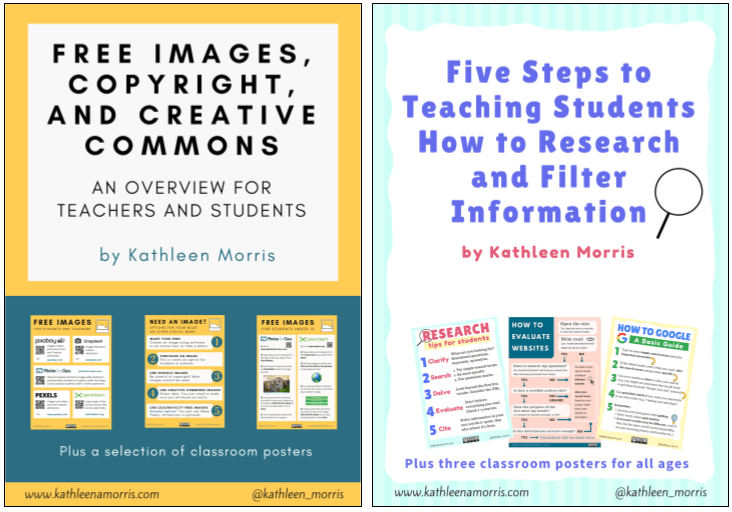 If you are publishing to various social media platforms, or you have various teachers/classes with their own social media accounts, you might be wondering how to bring this all together! Check out a free tool called Wakelet which I’ve taken a comprehensive look at in this post. In this article, school principal Mariah Rackley shares how she uses Wakelet to bring together all the tweets from the school community. You can then embed your Wakelet onto your school website for the community to enjoy. One teacher who uses social media really well to connect with families is Aviva Dunsiger. Her Daily Shoot concept was born when she was teaching upper primary students. Aviva now teaches pre-kindergarten and uses the concept to share images and videos about the day’s events through social media. The Daily Shoot page on her class blog which collates all the social media posts is well worth a look! Here’s an example of the sort of thing you might see on The Daily Shoot from Instagram and Twitter. Let’s take a look at Google Voice and Voxer which are being used by teachers in creative ways. I recently found out about Google Voice via a tweet from Monica Spillman. Living in Australia where Google Voice is not yet available, I was unaware of this awesome tool! Monica also shared a video from Ben Hyclak who explains how to set up an account. This looks like a great tool for those of you in the US BUT it seems like my fellow Aussie friends and I will have to keep waiting. Another voice app worth looking at is Voxer. I was fascinated when I read a blog post by Meredith Akers about it. If you haven’t heard of Voxer, it’s a messaging app for your phone (or browser) where you can send voice recordings walkie talkie style. There are other sending options too like text, photos, videos and location sharing. Meredith explains how she sends voice messages of appreciation and praise to staff, students, and parents. She talks about the huge impact this strategy has had as the recipient can hear your sincerity. Talking is fast too which makes this a great option for busy teachers who are interested in offering personalised messages but are short on time. And if your parents don’t have the app, you can just record your voice recording in Voxer and email it to them. Easy! Be sure to check out Meredith’s post for more information and an example. There are now many communication apps designed for schools on the market and they’re becoming increasingly popular with teachers and parents alike. Apps can break down barriers as they’re quick and easy to use and there’s usually a minimal learning curve. Another great feature of many communication apps is the ability to translate into different languages. Primarily a digital portfolio and parent communication tool that’s hugely popular across the world, especially in the primary/elementary classroom. Allows parents and students to easily send families updates like notices, videos, and photos. Seesaw works on phones, tablets, and the web. I’ve written a comprehensive post weighing up the pros and cons of Seesaw. Check it out here! I still love @Seesaw for parent communication as it’s instant and flexible. Group announcements, individual messages, posts about positive happenings, photos, class newsletters (Ss make weekly news updates by app smashing), etc. Allows teachers to share news and resources with students and parents. Teachers can send messages from the web or the app to parents’ or students’ phones (or the web/email if they don’t have phones). Teachers can send announcements to an entire class or personalize messages to individuals and smaller groups. Began as a way to gamify classroom behaviour through a points system. Now an app where teachers can share class stories and contact parents directly. Students can also create digital portfolios. ClassDojo can be used on the web and via apps for iPhone and Android. @ClassDojo is a wonderful way to send pictures, videos and texts to all or individual parents. As a teacher and a parent, I love it! There are many more communication apps out there. Please tell us about your favourite in a comment! The goal is to enhance our communication with parents via technology, not replace all human contact. Are Parent-Teacher Conferences Becoming Obsolete? was an article published in The Atlantic just over a year ago. It understandably caused a bit of controversy amongst parents and educators. The article talks about how a Colorado school district began replacing in-person meetings with online data systems. Most teachers and parents would agree that this is not the desired goal of using technology for home-school communication. We want technology to enhance our communication with families, not replace all human contact. There is so much power in speaking to someone face-to-face (or on the phone) from time to time. Sometimes everyone will benefit from a parent-teacher discussion about a student’s behaviour, learning, or other important issues. However, I don’t think we need a parent meeting every time a student has a new learning goal either. And we certainly don’t need ten different parents knocking on the classroom door to ask about the athletics carnival arrangements. I think all teachers know what the right mix is here for online and offline communication. There are now so many ways that you can communicate with parents and, of course, you might find having a few different methods works well. You might use one medium for more personalised communication: like to share information about individual student progress and behaviour. Another method could be set up for more general class and school news. 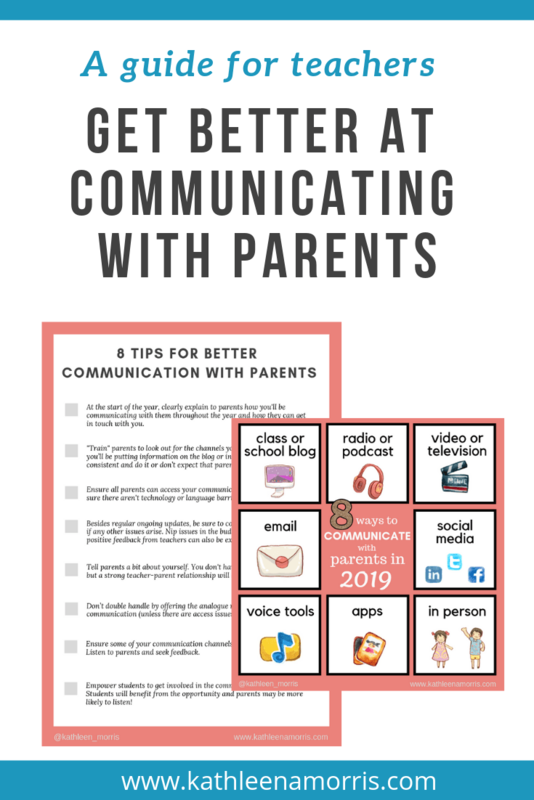 I’ve created a PDF with 8 tips for teachers for better communication with parents. This is an exciting time for building strong relationships with families to help all of our students thrive. Relationships are built on communication. How will you communicate in 2019? What’s happening in your classroom or school? Please comment and tell us about the way you communicate with families! Thank you to Teekatas Suwannakrua for the cute icons for my graphic for this post!